Yesterday, Kansas secretary of state Kris Kobach and Arizona attorney general Tom Horne scored a big victory in federal court when a Kansas district court judge ruled that federal voter registration forms in both states must require voters to show proof of citizenship. 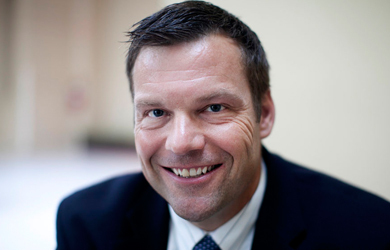 The proof-of-citizenship requirement, which Kobach shepherded through his state’s legislature, has created a huge mess, leaving the registrations suspended of nearly 16,000 voters who hadn’t or couldn’t provide the necessary documents. Throughout the process, Kobach has dismissed the concerns of voting rights advocates and the growing chorus of protest from elections officials, newspaper editorial boards and others in Kansas. When 12,000 voters had their registration thrown in limbo, Kobach said it wasn’t a “major problem” because it was “only a tiny percentage” of the total voting population. (By contrast, the supposed reason for the law was to prevent a handful of fraudulent votes cast over a dozen years). When it was announced that only 72 percent of registered voters were able to meet the new requirement, Kobach boasted that “that’s actually an extraordinarily high percentage” and blamed “procrastination” for the 28 percent without complete registrations. “We should not get alarmed at all by the number that the left continually throws around,” he said.